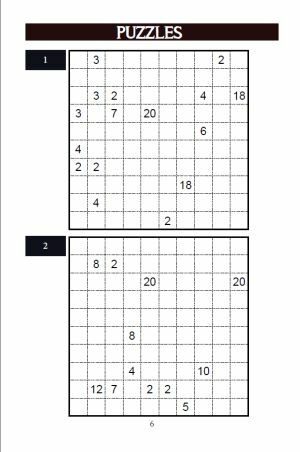 Sikaku puzzles, also known as rectangles or cellblocks, are a fun puzzle whereby you must split the grid into a series of rectangles. Here are the rules: The grid contains blank cells and numbered cells. A numbered cell must belong to a single rectangle containing the number of stated squares. There is only one numbered cell in each rectangle. That's all that there is to it! Using logic alone you can solve each of these puzzles, which has a unique solution in each case. If you are in any doubt as to what a valid solution looks like, take a peak at one of the solution grids to help you see. Solving sikaku puzzles (or rectangles, cellblocks and so on) requires the use of a few nice strategies. The simplest of these is to see if there is only one region that a particular cell can belong to - and if so, then that can be marked in. For instance, look at the first square in puzzle one to the right. It can only be part of the '3' region indicated by the square next to it, because no other region in the puzzle can reach that cell. Therefore it can be marked as part of that region, leaving only one option for the shape of that region. So rule 1: is there only one region that can 'reach' a square and therefore only one it can belong to? Mark it in. Rule two is to think about the possible shapes for a region. Prime number regions are great here as they must be 1 x n or n x 1, so there are not lots of combinations to consider like with a 12 region that could be 1x12, 2x6 and 3x4 or the opposite of these. Often you will find that, whatever shape the region takes, there are certain squares that must belong to it: and these can be marked in. Doing so can reduce options for other regions and so can lead to solving progress. So rule 2 is about the possible shapes for a region, and seeing if certain squares in the grid must belong to the region no matter which shape it takes. The third rule you might like to use is an isolation rule. This works as follows: imagine that you placed a particular option for region A in the grid. Would this make any other square in the grid unreachable by any other region? In other words, would any square end up being isolated? If so then this means that you cannot place that particular option for region A and it can be discounted. That's because we know in the solved puzzle every square will belong to a rectangle, so it can't be the case that any square gets isolated. Using this logic just requires you to visualise an option in your head and see if there are any immediate implications that would lead to this conflict. And that's all there is to it! 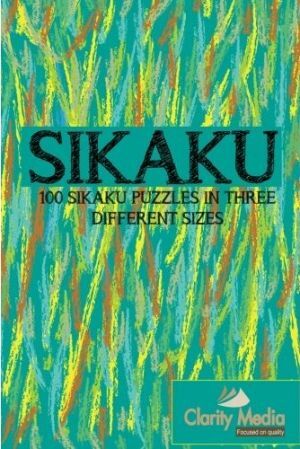 We hope you enjoy the sikaku puzzles in this book - let us know if you'd like to see more, harder or easier ones or rectangle puzzles of different sizes and so forth, it is always great to hear from the puzzle solvers out there!